With today’s (30 May) inauguration of a new state-of-the-art freight facility named Hamburg Airport Cargo Center (HACC), a new era in air freight handling and throughput has commenced at the northern German airport. 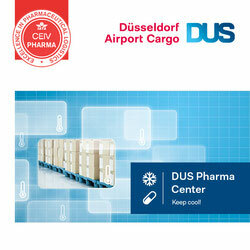 The €50 million facility replaces the existing freight buildings that stem from the 1960’s. The new cargo facility built on a former parking lot and connected directly to the nearby-located aircraft stands is a real showpiece. 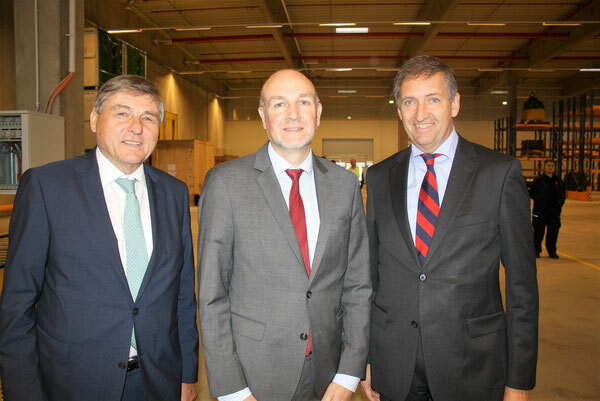 “It will set very high standards in quality, upping the efficiency of cargo handling and strengthen Hamburg’s position as northern Germany’s leading logistics site,” praised airport Chief Michael Eggenschwiler on the occasion of the opening of the HACC. The building comprises 40,000 sqm handling space capable of processing 150,000 tons per year. 44 loading ramps secure the seamless flow of incoming and outgoing goods designed to prevent trucks or vans to be caught in jams. 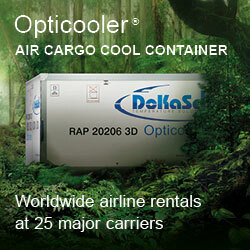 In a separate 6,000 sqm facility, the offices of forwarders and ground handling agents are accommodated. Interestingly enough, the space of the new facility was completely booked out long before to the first shipment arrived early this morning. For handlers most important is the improved productivity per square meter that is significantly higher in comparison to the former warehouses they were utilizing at HAM Airport. “We don’t have any comparative figures but a productivity leap of about 20 percent can be expected,” estimates Juergen Vogt, Managing Director of local ground handling agent LHU Hamburg. Renting 9,000 sqm handling space his firm is the largest HACC tenant. Markus Eberhard of competitor Swissport added to this that thanks to a high degree of automation work flows within the new building are accelerated with all processes becoming more transparent. 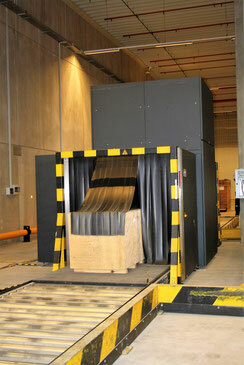 The building is equipped with a number of cool rooms, allowing the storage of all kinds of temperature sensitive items. An important aspect illustrated by airport boss Eggenschwiler. He pointed out that key products leaving Hamburg by air are pharma items, medicines, spare parts and components of the aviation and maritime industry that have a stronghold in Hamburg and medical devices. Johan Schryver, Head of the Forwarders Association in Hamburg stated that air freight is a key component of his member’s business, upping the firm’s revenues, creating jobs, increasing the attractiveness of the marketplace. Up to now, Schryver criticized that only about 20 percent of the entire annual air freight of roughly 270,000 tons generated within a radius of 200 kilometers, left Hamburg on board an aircraft. Regrettably, the vast majority of goods are trucked to places like Frankfurt, Amsterdam, Liege or Luxembourg. With the new HACC in place, it can be expected that this exodus trend in cargo will be reversed by and large. Rolf Boesinger, State Secretary of Hamburg’s Ministry of Economics said that his department expects a yearly increase in tonnage between 5 and 7 percent in Hamburg’s metropolitan area. So the hopes are high that the capacity of the new HACC will be soon exploited. Although there is still a long way to go given the fact that last year only 52,000 tons of exports and imports were processed via HAM. 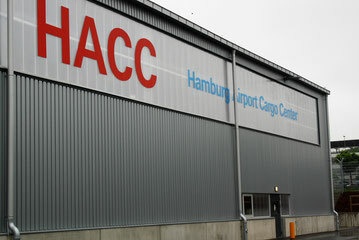 However, apart from good wishes and high hopes related to today’s launch of HACC: The new cargo center might motivate additional carriers to add Hamburg to their network, offering long-haul flights to Germany’s wealthiest city, particularly airlines from Far East or North America. With cargo contributing between 10 to 15 percent to the turnover generated per route the new air freight facility becomes an additional selling point ranked very high in HAM’s efforts to attract new airlines, emphasized the airport’s helmsman Eggenschwiler in his address to the media.